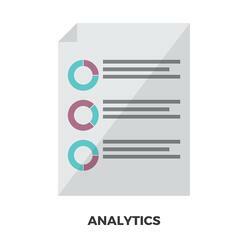 Target your donors with the right follow up using analytical reports. Donor retention is challenging but vital to your nonprofit's success. As you plan out your fundraising initiatives, it is important to incorporate data analysis into your routine so you can create your plan based on solid information. Analytical reports reveal trends about giving and can be generated based on a variety of criteria such as geographic location, first gifts, solicitations, and campaigns. They are excellent marketing tools as you pull together information to make logical and thoughtful decisions about growing your constituent base. They can help you to focus your efforts and determine where you can get the most value. Which reports you use will be up to you, but incorporating analytical reports relevant to your organization in your decision making process will help you to be more successful in your fundraising efforts. So, now that we've established that it is important to monitor your donor trends so you can refine and improve upon your fundraising efforts, where do you begin? Here are some examples of data that you can pull from analytical reports and use as part of your fundraising analysis as you map out your plan for the next year. Note, some of the strategies suggested require drilling down into the higher level analysis in order to get more information and have a clearer picture. Are you acquiring new donors from year to year? New donors are critical to maintaining the overall health of your donor database. You need to plan out your strategy to target this area and, to do that, it is helpful to look at past marketing efforts and determine what is working and what might need to be tweaked. Which list groups resulted in the most new donors in previous years? This can help you continue to refine your target audience and focus your energies in those areas. Have you been able to leverage your existing donor base through peer to peer fundraising and what new donor results has it generated in the past? You can implement additional strategies in this area by focusing on the peer to peer efforts that have generated the best results. Does the analysis of your new donors from previous years show a generational trend? If so, you can did deeper and identify ways that this group likes to be approached and how they give. This can help you to plan your outreach. This analysis digs a little deeper and provides more detail on donor first gift information. It can help you determine how you approach your future "asks". Can you increase your first gift amount by asking donors to give in support of specific cause areas?Donors like to see where their money is going. If your first gift average was $25, you can ask donors to contribute $32.60 in support of a month of hot meals for a child in need, or a similar targeted approach based on your organization's mission. Did a particular campaign result in higher first gift totals? If so, use that as your starting point and replicate, as well as improve upon that campaign, to target additional first time donors. Were certain groups or geographical areas more generous in their first gift amount? Do further research and drill down deeper into the data to identify trends and groups you where you are having the greatest success. Did your first time donors give again? Was their donation in the same year or subsequent years? What percentage of first time donors gave again? All of these are important questions. By looking at these analytics, again you can refine your strategies as you move forward. Did they donate a second time, but not until a year or two later? Maybe you need to adjust the number and frequency of your communications. Do you see a trend with better subsequent giving results from certain follow up efforts versus others? Look at which fundraising efforts generated the subsequent gift, and which efforts resulted in faster repeat giving. Identify what was unique about these efforts that resulted in better response. Is the second gift the same or higher? Is it lower? This analysis will help you see if you have made a successful connection with that donor and their potential to become a more consistent supporter to your organization. Was their second gift higher? Perhaps they would consider being a monthly donor? Create followup that includes options for monthly giving. As with our above recommendations, be sure to keep it personal and show them how the monthly gift will be used and impact your mission. Was their second gift lower? Perhaps they are not able to give more. Provide other options for helping your organization. Did a high percentage of your first time donors not give a second gift? This might show you that they are not connected to your cause. Are they not connected to your cause? You want to make highlighting your mission in a personal way part of your marketing strategy. Highlighting success stories on your website and social media channels. Sending thank you notes that outline specifically how the donation will be used to further your mission. Communicating regularly to show progress on a project or other initiative which their donation helped make possible. Was the first gift specific to a date such as a birthday, anniversary or other milestone event but then no additional gifts were made? Be sure to ask the donor again when the same date or milestone event occurs. Make it easy to give in recognition of these types of events. Do you need more information on why they did not make a subsequent gift? This might be a good time to ask for feedback from those donors to get a deeper understanding of where you can improve. These reports can be a starting point for generating and targeting donors with the appropriate campaigns and follow up activities. Remember to pull information from their donor records to personalize your approach. Do you need assistance with reporting in your Abila Fundraising 50TM software? Check out our querying and reporting classes for more help in this area. Copyright © 2017 Abila, Inc. All Rights Reserved. Abila Fundraising 50™, Abila MIP Fund Accounting™, and True Fund Accounting™ (Any other products they represent) are trademarks and registered trademarks of Abila, Inc. in the United States and other countries. All other product names mentioned herein are the trademarks of their respective owners.